Khaled Mashal, chairman of the Political Bureau of Hamas, paid a surprise visit to Ankara, Turkey, on December 27, 2014. Heading a Hamas delegation, he took part in the annual conference of the Justice and Development Party. Mashal, who was welcomed by the head of the party and prime minister of Turkey, Ahmet Davutoğlu, gave a speech at the conference in which he called for the liberation of “Jerusalem and Palestine” and was received with great admiration by the audience. Calls for the destruction of Israel were also heard at the conference. According to Hamas sources, Mashal’s visit to Turkey is a step on the way to his anticipated visit to Iran for purposes of cementing the new Iran-Turkey-Qatar-Hizbullah axis. Hossein Amir Abdollahian, assistant for Arab and African affairs in the Iranian Foreign Ministry, confirmed over the weekend that Mashal will soon visit Iran and emphasized Iran’s support for Hamas and Islamic Jihad. In the wake of the recent reconciliation between Egypt and Qatar, rumors have spread in Gaza that Qatar may ask Mashal, who lives in Doha, Qatar, to leave Qatar to placate Egyptian President Abdel Fattah el-Sisi. The Egyptian leader regards Hamas as an enemy and as part of the Muslim Brotherhood, which has been declared a terrorist movement in Egypt. Among the possible sites mentioned for Mashal’s new headquarters was Turkey. Qatar continues to support Hamas, and a few days before the reconciliation with Egypt the emir of Qatar, Sheikh Tamim bin Hamad Al Thani, visited Turkey and together with the Turkish leadership set up a High Committee for Strategic Cooperation. Having left Damascus because of its crisis in relations with the Syrian regime of Bashar Assad, Hamas is gradually building a key operations base in Turkey. The senior Hamas figure in Turkey is Saleh al-Aruri, one of the founders of the movement’s military wing. Israel sees him as responsible for extensive terrorist activity originating from Turkey. Among other actions he is believed to have been involved in the kidnapping and murder of the three Israeli teenage boys Gilad Shear, Naftali Frenkel, and Eyal Ifrach in June 2014, in attempting to create an elaborate infrastructure on the West Bank for the overthrow of Mahmoud Abbas, in the creation of the terror infrastructure that tried to assassinate Foreign Minister Avigdor Lieberman, and in the planning of a terror attack at Teddy Stadium in Jerusalem. Another senior Hamas figure now living in Turkey is Amad al-Alami, who was the movement’s representative in Iran. Hamas sources say that he came to Turkey last November to obtain medical treatment. Also residing at the Hamas headquarters in Turkey are two of its operatives, Mahmoud Atun and Taiser Suliman, who were among those freed in the Gilad Schalit deal. In a complaint submitted to U.S. Defense Secretary Chuck Hagel and to NATO Headquarters, Israel demanded that measures be taken against Turkey as a NATO member for allowing the unhindered activity of the Hamas headquarters in Istanbul. Turkey, for its part, denied all charges. In an interview last week to the Hamas mouthpiece Al-Rissala, al-Aruri denied any terror activity from Turkish territory. He praised the Turkish leadership and its support for the Palestinian people and claimed that the Hamas leadership would not carry out any activity on Turkish soil that would embarrass Turkey. 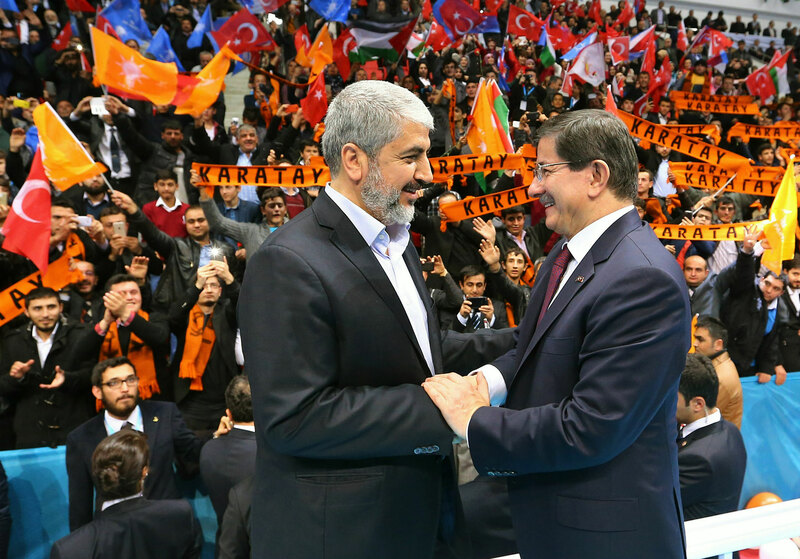 Turkey continues its staunch support for the Hamas regime in the Gaza Strip. After Operation Protective Edge, Turkey also offered to dispatch a ship that would anchor alongside Gaza and provide electricity to its residents.